If you’re looking at that picture and shouting at the screen, “Michael, why are you shoving yet another Kartrashian post into our eyes?“, then you really need to slap yourself raw. The Kartrashians wish they looked that gorgeous and glamorous. These are the aptly-named Gorgeous Creatures and for a brief moment in the crown neon jewel of the 20th century known as the 1980s, they were sold in toy stores. The Gorgeous Creatures were made up of 4 stunning farm animals who had human bodies and were done up in glamorous lady drag. 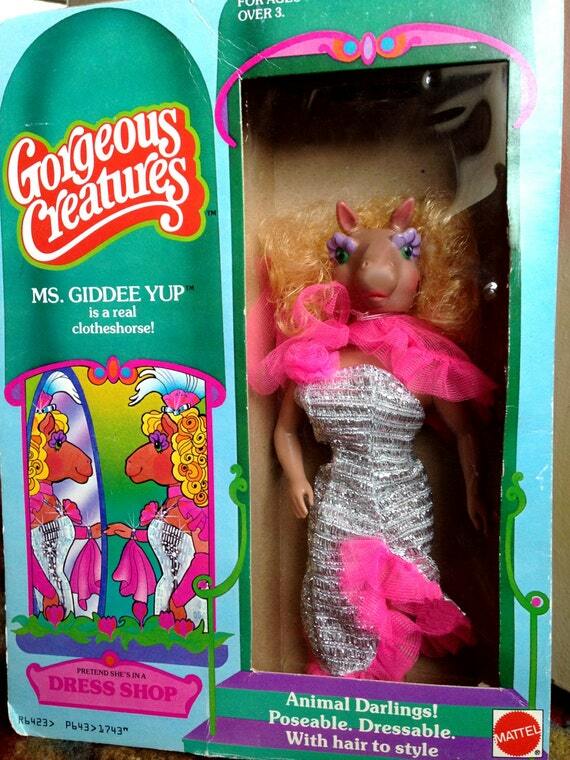 There was Ms. Heavenly Hippo, Ms. Gideee Yup (Sarah Jessica Parker, who? 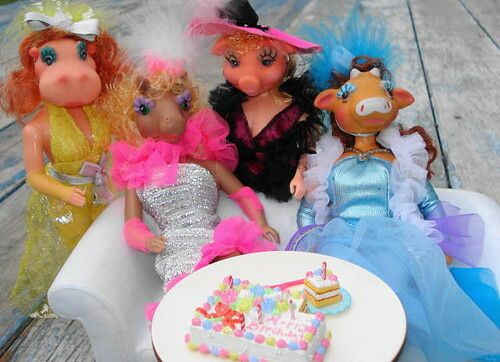 ), Princess Pig and Cow Belle. They were the Real Housewives of the Farm and probably more well-behaved, ladylike, refined and sophisticated than the Real Housewives of today.